Oh, Those Evil Law Suits! So I have some perspective on emotional reactions of people in varied contexts. Here we will discuss the hyper-emotionalism that lawsuits engender, because they indeed cause people to act in ways that are confounding. Of course, an individual plaintiff in a medical malpractice lawsuit is hyper-emotionally involved. But more to the point of this article, so is the defendant physician. Why is that? For the plaintiff, that’s easy to understand. They believe (or were convinced) that the physician harmed them through negligent conduct, and that they should be compensated (and perhaps apologized to). Their world often starts to revolve around the lawsuit as if nothing else mattered. It consumes them, and the outcome is rarely satisfying. The physician reacts almost equally emotionally when sued. While that is counterproductive, they typically can’t help themselves because it is a direct and personal attack going to the heart of who and what they are professionally and as human beings. Heavy stuff. Unlike games, with lawsuits it’s about YOU, and they can inflict lasting scars and cause irrational behavior. It needn’t be that way. To a good trial lawyer, there is nothing like a hotly contested lawsuit. Lawyers know that the participants (sometimes antithetically called “parties”) fear and hate them, and yet the smell of blood in the water is so intoxicating. If you are the lawyer doing the cross examining, watching an adverse witness on the stand slowly self destruct is nearly heaven. You can make a witness who plays fast and loose with the facts literally flinch each time you reach for his deposition transcript to contradict his testimony. Lawyers are successful when they throw you off your game. People who are scared, angry, or just off balance make mistakes, and that is what opposing counsel wants. He or she may seem nice, but never let that fool you. You will not convince them of the justness of your side of the case, and do not ever let your guard down–they are not your friend. I had a CEO client who, during depositions, always placed a pencil between him and the opposing lawyer to remind him of just who the enemy was and where he was. Just like being an Eagle Scout, one never says he “was” a lawyer, so I guess I am a lawyer. I tried cases in court–real trials with real judges and juries, for 25 years. And then for twelve years, I stopped practicing law and became a client as the COO and CEO of a health insurer. During that time, my feelings about lawyers changed a little. Upon reflection, that is understandable, and I gained a real appreciation for why CEOs sometimes lose their patience with lawyers. Because often with lawyers it’s all about the process, which it most definitely is not with CEOs. I want to discuss the fear of lawsuits, but first let’s talk about lawyers. Overwhelmingly, lawyers are trustworthy professionals. I believe in the profession. There are, of course, bad apples just as there are in the medical profession. But lawyers have always, since Shakespearian times, had a bad rep and that will never change. The myriad reasons are too numerous for this article, so we’ll accept it for what it is. For example, when CEOs look at a draft contract, they focus on the deal terms. When lawyers look at a draft contract, they focus on the termination clauses. Why? If the deal goes south, they want to know how their client can get out of it, or how they can keep the other party in it if it is to their advantage. And they assume the deal will go south. Otherwise, there will be no call to action. Moreover, lawyers take notes during meetings to later review and ponder. They live in the retrospective. They are observers and recorders, at least until trial. On the other hand, CEOs do not take notes during meetings. They live in that moment, and they do not leave meetings with assignments. Their task ends with the end of the meeting. Moreover, CEOs try to observe people during meetings—facial expressions, body language. They want to get a sense of who is feeling what without saying so. This reflects different perspectives of CEOs from counsel, which in turn may account for the sometimes lack of clear connection between counsel and the CEO. They just think and approach things differently. So let’s talk about lawsuits in the business context, because healthcare is a business. Your business (and despite suggestions to the contrary, being a physician is the conduct of a business) may be sued. It probably will be at some point. You may be sued by an individual or by another business, or by the government. If you are a physician, it is likely that you will be sued for malpractice at least once in your career. Try to keep in mind that it is a business lawsuit. The suit is a claim of negligent provision of professional services. It can help physicians to think of suits against them in that context–it’s less personal. And you need that separation so that the claim, whether with or without merit, does not cause undue angst and distraction in your professional and personal lives. That is VERY important. You cannot put everything on hold and obsess over the suit for the next three years. Beyond malpractice litigation, B2B lawsuits are nothing more than business tools. They are tools of your trade as a business person and should be considered as such. If you are in business, you should be familiar with them and their use. Do not let your ego or emotions get in the way. The are prosecuted or defended based on good business reasons, and remember, over 97% of lawsuits are settled, sooner or later. You might sue or be sued to send a “message.” Not just to the defendant, but to the community of observers, that certain activity is unacceptable and will not be tolerated. As CEO, I once was asked in the context of a suit against a company that provided medical services to our subscribers whether the amount of the recovery was of most importance. I said, no…my goal is to send a message to the provider community that fraudulent billing will not be tolerated. So if that means taking the matter all the way regardless of the eventual recovery, so be it. I believe it helped that the community knew I was a trial lawyer and was not intimidated by lawsuits or the process. Whether or not that was the reason, we weren’t sued often while I was CEO. I recall at a meeting being told by an entity’s lawyer that it was considering bringing a class action against my company regarding claims processing issues. Having investigated the matter and being convinced we’d done nothing wrong, my response was a slow smile and saying, “If you do, you’d better be prepared to go the distance, because I won’t settle. Ever.” We weren’t sued. Was it my lack of emotion? Perhaps. In any event, I lost no sleep over the threat. When an individual sues your business, that gives rise to risks and opportunities. The “community” watches that as well, and the community often consists of other plaintiffs’ lawyers. How do you react? What is the settlement? Are you an easy mark? Is it kept confidential? When sued by an individual, IF you discover that you are in the wrong, try to settle quickly but don’t be a holdup victim. Use mediation if possible. It’s a quick and effective way to resolve claims early and fairly. When a governmental entity, whether or not a regulator, sues you, that is the time to use a lawyer who has experience with that entity and the subject matter. That is not the time for amateurs. Get out in front of the matter, get to the bottom of it quickly, and again if you’re wrong, deal with it and resolve the matter ASAP. Your relationship with your regulator or other governmental entity is important, as is your credibility. However, if you truly believe you are in the right, that actually can be much more difficult, because with governmental entities, you can lose by winning at times. To go to the mat with a governmental entity requires top flight legal counsel and strong nerves. Governmental reserves and resources seem, and often are, boundless. But at times, you have to take a stand. Good luck on choosing the right time. Civil (non criminal) lawsuits, after commencement, proceed with what we call “discovery.” This is where the lawyers make their money because very few cases actually proceed to trial. Usually, the first thing that happens in discovery is that documents are exchanged, and there are always fights over that. But then come the depositions. Depositions are when witnesses are questioned in a lawyer’s office, under oath, about the facts of the case. If you are deposed, your lawyer also attends and represents you, but he or she will not do a whole lot at your deposition other than make sure it is conducted fairly. There is nothing more important in the whole pretrial process than being properly prepared for your deposition (or that of any of your side’s witnesses). And I mean prepared. For a decent sized case, your lawyer should spend at least 6 hours preparing you so that there are no surprises for you at the deposition. You must know the rules, you must know what you should do, and you must know what you should not do. This is critically important, and I don’t care how verbally nimble you think you are. The very worst deposition witnesses are super confident sales people and, yes, lawyers. And physicians, who have this compelling need to know the answer to every question asked by the opposing attorney, whether they are sure they know it or not. They don’t want to look dumb. That usually is disastrous, because a wrong guess under oath is the same as a lie under oath. Bottom line with lawsuits. Don’t flinch. As with karate (which teaches good life and business lessons), when the other side takes a swing at you, keep your eyes open, your wits about you, and step in rather than back. As with snakes, there are harmless lawsuits and dangerous ones. Knowing which is which and handling them accordingly makes all the difference. If you are reading this, it is likely you are involved with healthcare. 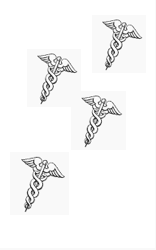 Healthcare disputes are different from other disputes in a number of ways. They often involve parties which must continue to do business with one another after the dispute is resolved. They often involve executives who have known each other for years. And they often involve confidential and competitively sensitive information. And often, once public, they can be above the fold news. You don’t want that to happen, believe me. Again, resolution through mediation makes perfect sense. We have all heard about lawsuits that have ended with absurd results (e.g., overheated McDonald’s coffee). While there are some urban legends, there have been some wacky results, just as there are in other pursuits. Yes, the “system” is imperfect, and bad results can obtain, just as some surgeries can end in tragedy despite the lack of any negligence on the part of the surgeon. But in cases where there are seemingly absurd results, strikingly often there is, buried within the facts of the case, a reason for that result. It is understandably easy to criticise the judicial system given some of the results when you are unfamiliar with what we lawyers call the “travel of the case.” But with almost every strange result, there is a smoking gun reason. Very often it is not about the facts themselves, but rather about a document that was destroyed or altered, or a lie under oath. That was how the first cigarette cancer cases were won. Think of how this has hurt, for example, governmental officials from Nixon, to Clinton (Bill), to Clinton (Hillary). Good lawyers alway tell clients that the facts will be what they will be, but if they illegally destroy documents or lie under oath, they cannot be saved. They are dead meat. Plus it’s just plain wrong (and incidentally against the law) to lie under oath or destroy evidence. And so many, many bad results were about the destroyed document and lie under oath, rather than the facts. So what your parents told you about telling the truth is, well, true. And the truth is that with good lawyers on both sides, matters generally are resolved properly. But don’t abdicate your executive responsibility to the lawyers. They are advisors. Not dictators. They advise you and YOU make the decisions. Unless you want to hide behind them, which is generally a terrible way to conduct business. Funny, that’s what they say when the hit man is supposed to cap the guy in the mob who transgressed. ” Nuthin’ personal, just business”. I think you give mostly good advice here. I have run our group, about 100 providers now, for about 10 years. During that time I have become, somewhat surprisingly, pretty good friends with our corporate lawyer. When I first started I worried way too much about lawsuits. He has, over the years, gotten me to take more of a business like approach. Be prepared, know what you are doing, document stuff. I agree Margalit. Lawsuits involving injured plaintiffs and “I did nothing wrong” defendants is all “personal” emotion. I find opinions about lawyers the same as politicians – it’s always the other guy’s lawyer/politician who’s the crook. Most people want their lawyer to be the take no prisoner type.